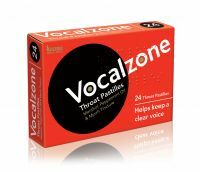 Vocalzone throat pastilles are world-renowned. Specially formulated for singers, actors and voice professionals. 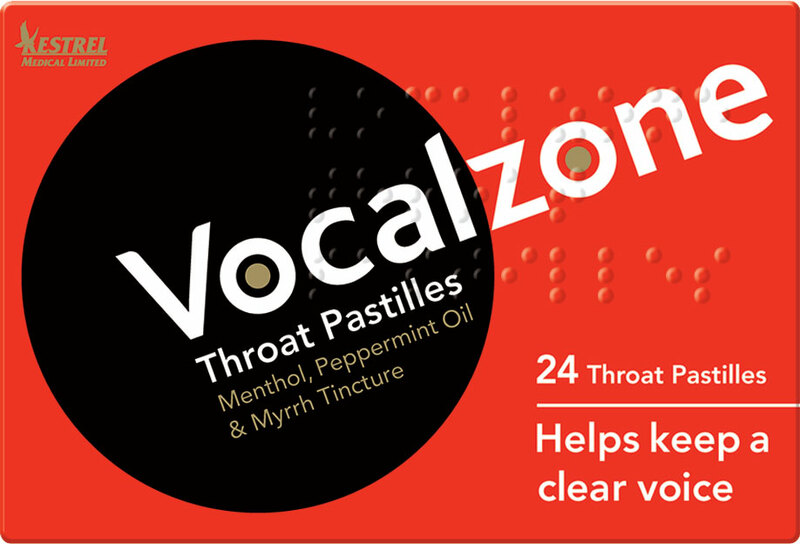 A firm favourite among choral singers and ChoraLine customers, these pastilles  contain a unique blend of natural ingredients to provide fast acting and effective relief from vocal strain. Vocalzone can also relieve the irritation of the throat caused by the common cold. These pastilles are an essential part of any professional or amateur singer's concert preparations - they are used by Katherine Jenkins and Sir Tom Jones, who describes them as 'the best throat pastilles in the world'! 24 pastilles per pack, 3 flavours available - why not buy a pack of each to keep your concert prep varied and exciting?